Sonos, world leading manufacturers of wireless speakers and related audio solutions, have this week announced a new range of in-wall, in-ceiling and weatherproof outdoor speakers. The result of a partnership between Sonos and Sonance, which was first announced last autumn, the new products are called Sonos Architectural by Sonance speakers. The full range has been made available for pre-order by the company, with the in-wall and in-ceiling products slated to go out for delivery from 26th February. Sonos’ first ever outdoor speaker, meanwhile, is simply stated as being available ‘soon’. That outdoor speaker features a weatherproof design for year-round sound outside the home. As such, it is able to withstand extreme temperatures, humidity, water, salt spray and even UV radiation. The in-wall and in-ceiling speakers feature grilles of different shapes that can be painted to disappear into your home. They can also be automatically tuned to the room and its furnishings using Sonos Trueplay. That’s only possible after they are wired into a Sonos Amp, which is actually required for operation of any of the new range of solutions. 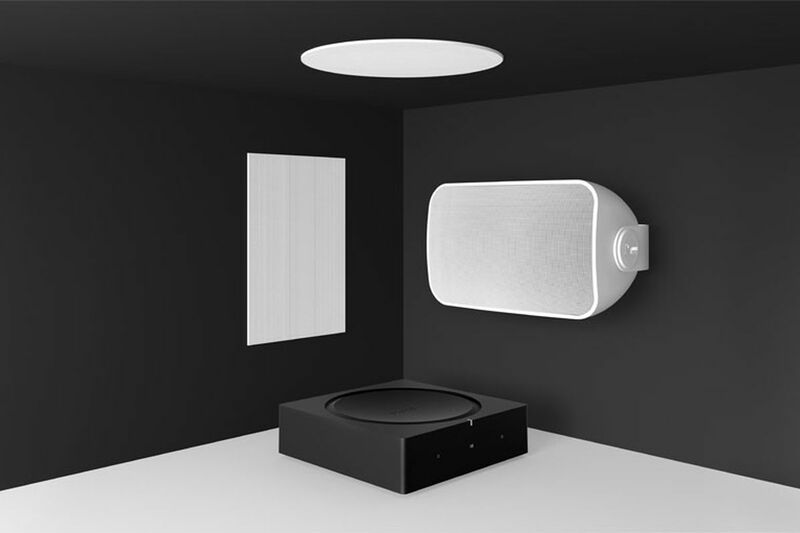 Once installed, the Architectural by Sonance speakers function as a regular listening zone on your Sonos network alongside Sonos’ first-party range of amplified wireless speakers. According to Sonos, up to three pairs of Architectural by Sonance speakers can be powered by a single Sonos Amp. If you would like to discuss your requirements for Sonos whole home audio solutions please call us on 0800 195 4825.